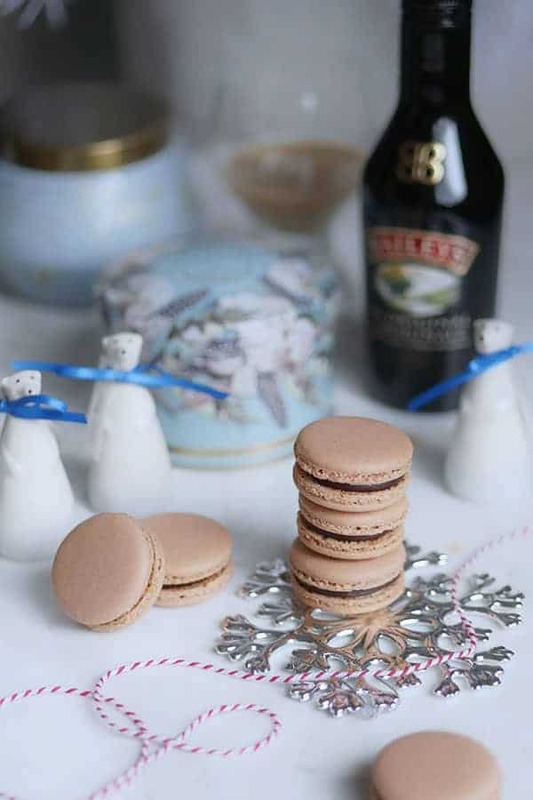 I’ve been planning feverishly for the holiday season since mid-November and I knew I wanted to create a new winter macaron flavour that would incorporate gingerbread spice macaron shells with some other festive flavour. Whatever would those flavours be? Cranberry, eggnog, peppermint were all obvious choices but I didn’t really want to use them with gingerbread. Although eggnog didn’t make the cut, it did get me thinking how nice it was to sit around a fireplace on a cozy fur rug sipping on a creamy drink laced with alcohol. That’s when I thought of Baileys Irish Cream! The creamy liqueur reminiscent of a boozy Frappuccino – born before Fraps were even a “thing” – had just the flavour profile that I was seeking: Irish Whiskey with notes of cream, coffee and chocolate. I was excited! So off to the liquor store I went. Okay, so I wasn’t literally off to the liquor store…. nooo… I needed to do this right to avoid the embarrassment of being ID’d at the liquor store. 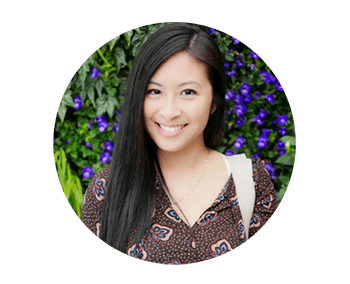 Usually, for most people, it’s flattering to be ID’d but I always felt awfully out of place when I was the only one in a group of friends to be ID’d whenever we went out to places where there was gambling tables or alcoholic beverages. Inevitably, the whole group would have to wait until I proved my age before we could keep ordering. Even cutting through a casino to get to another building, they’d be long gone while I was still at the door having my ID checked. Before going to the liquor store this time, I made sure to change out of the leggings I was wearing and put on dress pants and a smart coat before heading out. I asked hubby if he thought I’d get ID’d and without hesitating he said, “yes”. So that was not very reassuring. I wanted to blend in with all the other adults and not look like I was a high school student experimenting with alcohol for the first time with a bottle of Baileys Irish Cream liqueur in my hand. I went up to the counter and tried to look as confident and “adult”-like as I could but it was not to be this time. The clerk asked me nicely to provide my ID and I gave it to him hoping he would not laugh inside at how old I actually was lol. I was happy when I finally got home with my hard-earned bottle of Baileys Irish Cream. 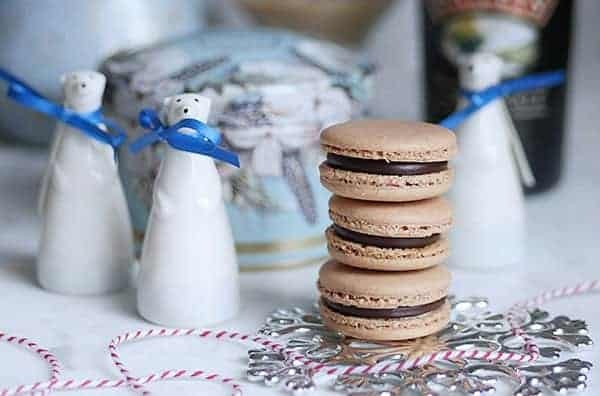 I discovered a new appreciation for this liqueur and loved the flavour profile so much that I created two new winter macaron recipes with it. This one is made up predominantly of chocolate and is the easier one of the two to execute. I wanted it to have a kick when you first bite into it, similar to biting into those miniature liquor filled chocolate bottles. The other recipe is creamier and subtle, take a look here. 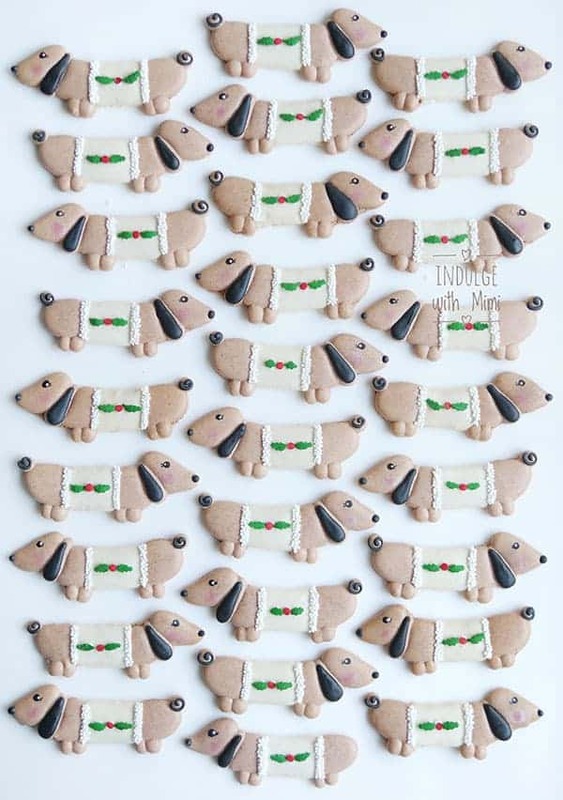 If you are giving these macarons away as gifts during the holidays, you might also want to try your hand at piping the macaron shells into these sweet puppy dog shapes with their ugly Christmas sweater. 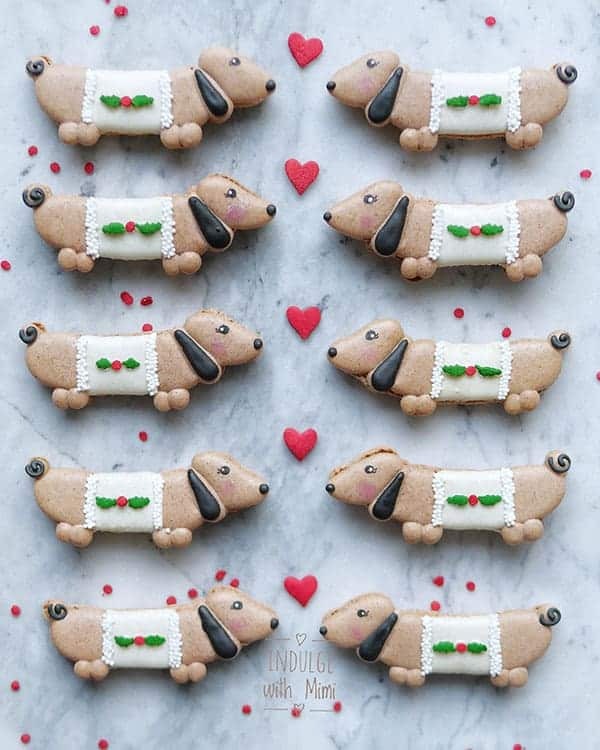 I hardly know a soul who doesn’t gush over a sweet puppy and these little guys proved to be quite a hit on Instagram too. Join me there and follow along for the fun. Wishing you a very happy holiday baking season! 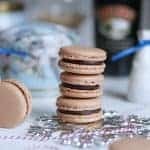 Use the ingredients above and follow the instructions in my Best Macaron Recipe to prepare the macaron batter. Leave meringue uncolored. Sift the spices along with the almond flour and icing sugar. 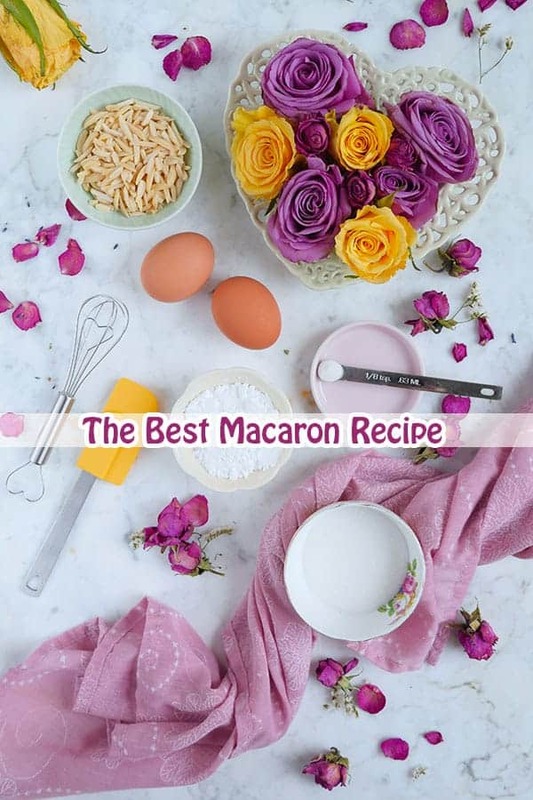 Use the ingredients above and follow the instructions in my Best Macaron Recipe to prepare the macaron batter. 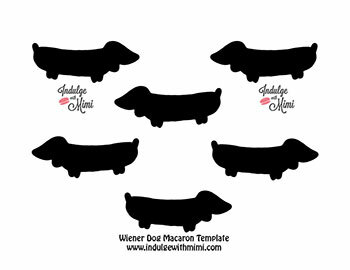 Before starting, watch accompanying video and print out puppy macaron template provided below. Using a fine piping tip (ex. Wilton 5), pipe ears with gingerbread macaron batter. Do this for each puppy before moving onto next step. This will give them time to dry and develop a skin. Pipe sweater with white macaron batter. Do this for each puppy. Add the holly sprinkles or any holiday themed sprinkle you desire onto the surface of the white macaron batter. If the sprinkles are sinking into the batter, wait just a bit longer until a firmer skin forms before adding the sprinkles. But do this before the batter dries completely. Pipe the head, neck and back section of the puppy. Give these sections time to develop a skin before piping the legs and tail. 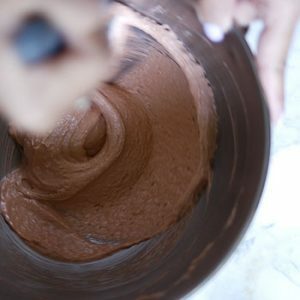 It can be a weak skin, whats more more important is that the batter doesn't transfer to your fingers when you touch it. 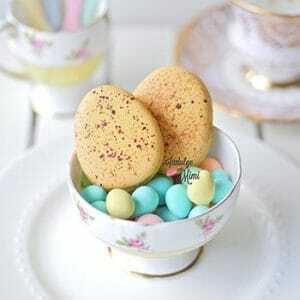 Bake macarons for 12-14 min. at 320 F. The timing will vary depending on your oven. Read my oven guide for baking macarons if you are unsure. Once the macarons have come out of the oven, let them cool completely before taking off the mat. Be patient! The puppies might break apart at the seams if they are not completely cooled. Add a bit of white royal icing in the middle of the break between the sweater and the puppy. 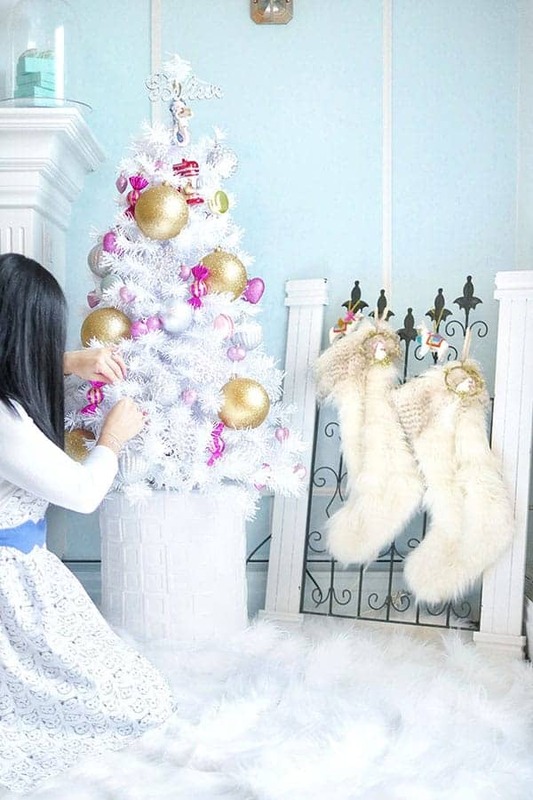 Before it dries, quickly sprinkle the white nonpareil sprinkles onto the royal icing to create a fluffy sweater effect. Use an edible pen to draw in eyes and eyelashes. Use a tiny dab of white gel colour to add a little "sparkle" to the eyes. Use a fine brush to add a bit of pink lustre dust to the cheeks. 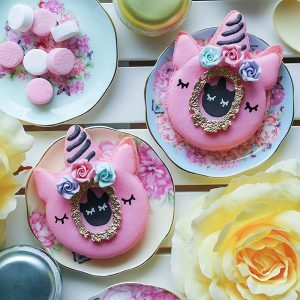 Use black royal icing to fill in the shape of the ears and nose. 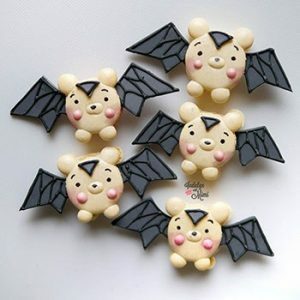 Make an outline of the ears, then fill in with more royal icing. Use a scribe tool or skewer to smooth out the icing. With the royal icing, draw in a small swirl for the tail. Let royal icing dry completely before assembling with filling and packaging. This may take a minimum of 8 hours. Chop up chocolate into little chunks and place in a heat proof bowl. In a small sauce pan heat the Baileys Cream and the heavy cream together on medium heat. 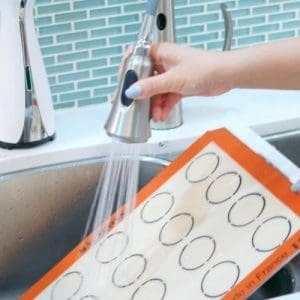 Once you see steam and some bubbles form on the sides, immediately take off the heat. Pour the hot cream onto the chocolate and wait for one minute. Stir the mixture with a spatula to incorporate. Add room temperature butter and stir to incorporate. Add vanilla extract and stir to incorporate. Alcohol in the liqueur does not fully evaporate from the boiling process. 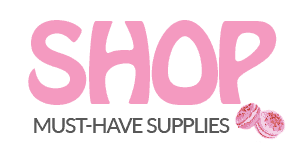 Take caution when serving to children, pregnant women, the elderly or those with compromised immune systems. Never leave alcohol on unattended heat as this may cause a fire. Add 1-2 tsp of water to the dry mixture and stir with a spatula to get the mixture going. If it's still lumpy, add another 1 tsp of water and stir again. Add the rest of the water with a spray bottle by slowly spritzing it onto the mixture until it reaches the proper consistency of a "15 second" icing. When a knife cuts through the icing, it will take 15 second for the cut to disappear. For this project, use a bit of the uncolored icing to create the "fur" portion of the sweater. Then add black gel to the remainder of the icing to use for piping the nose, ears and tail. 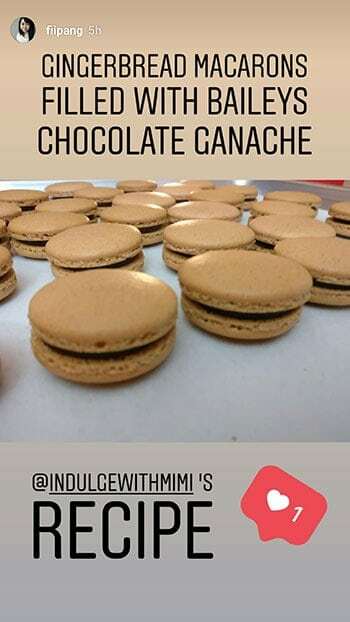 Thanks for tagging me with your lovely macarons using this recipe! 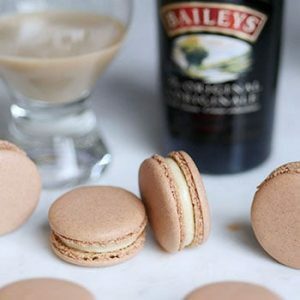 I’m not sure why my baileys filling will melt at room temperature despite my macarons cooled. Is all fillings like that? Does living in a country with room temperature 28 to 40 degree result in that? You are correct. Even with good quality chocolate, it starts to melt at 30C so you will have that issue since you’re reaching even 40C. Wow. It’s hot! Is there any way you can make them in an air conditioned environment and keep them in the fridge until serving?